I don’t do these kind of posts often, as you know I like to keep my blog mostly about hair or perhaps some of my random ramblings. But I’ve had a few questions from some of you asking how I got started doing what I do and how you can do the same. Not everyone is interested in blogging about hair, or even blogging in general but if you really are then I can assure you that regardless how crowded you think that the market it, you can always make a success of yourself if you first off have the right mindset and you are determined to succeed. Now I’m by no means an expert on the subject, nor am I the highest earning blogger there is. It’s considered impolite to talk about your salary so I won’t go too much into details but I will qualify myself by saying that I now make about 10-20 times more as a blogger than I ever did working an average full time job. Take from that what you will. I started blogging way back in 2008. I had owned a few websites before that but I never got anywhere with them and truth be told their subject matter at the time never did hold my interest so naturally I let them die, that is until I started Blackhairinformation.com. I’m sure most of you who follow me here on CurlyCurvy know that this is just my personal blog, I don’t really earn much from it but it allows me to indulge in talking about myself, and who doesn’t like that?! I decided to make a go of blogging full time but after almost 6 months I had only managed to increase my income by a few hundred dollars. Nothing to get excited about. A year after having my little girl it was decision time. We definitely needed more money so I had to go back to work. Looking at the job market at the time was a dire situation. I won’t complain about the recession because there were definitely still jobs out there, but none of them spoke to me, I simply wasn’t that interested in doing any one of them. Add to that the fact that most of them required shift work where you should be available to work from 7.00am to 9.00pm the idea of finding childcare plus a relative kind enough to help watch my little girl brought me out in a cold sweat. I had to find a better solution. It was at that time that I came across numerous work from home blogs and online products. I can honestly say that none of those ‘opportunities’ including taking surveys or affiliate marketing seemed like they would hold my interest any more than a 9-5 job. Luckily at the time I came across a film plus a book that basically changed my life. The film that I watched is called The Secret. I actually watched it on Netflix so you should be able to watch it for free if you have a subscription. It’s got a very unassuming cover which doesn’t really reveal what the DVD is about. I automatically assumed that it was a conspiracy type film so I ignored for months but what I discovered when I finally watched it opened my eyes! Its weird that even though I knew that wealth building started in the mind seeing as I’d read ‘Think And Grow Rich‘ back in my 20’s the idea that your mind was the ONLY thing that determined how much you earned didn’t hit home until I watched this film. On doing some online searches I came across a book called ‘Secrets of the Millionaire Mind‘. It was another eye opener that again blew my mind the way The Secret had. Basically these two books made me realize that as long as I kept on treating my website as a side hobby, it would continue to be just that. Until I got serious with it, wrote my goals down and took massive action to getting them fulfilled, nothing would change. So I went ahead did just that and within 2 months I had replaced my regular salary and in 6 months I had far exceeded it and now my husband and I work from home both on the website and other projects. It wasn’t luck or hard work that most contributed to my success, although both can play a role. It was simply a change of mindset. ➜ Be sure that this is what you actually want to do. Blogging can be a lonely job especially if you enjoy working with people. I am somewhat of an introvert so I don’t mind the alone time. ➜ Only get started on a subject matter that actually interests you. We all know that there is a lot of money in technology but for me the idea of writing about an features and benefits of the newest Android operating system bores me to tears. Hair on the other hand I can talk and write about for hours! ➜ Start a website. You can begin with free solutions like Curlyblogs or blogspot but if you are serious about blogging then your own domain name and paid hosting is the way to go. You can use Godaddy or hostgator to get you started. Their solutions are pretty cheap. ➜ Follow the Ready—Fire—-Aim approach to everything that you do. Don’t wait until your blog is ‘perfect’ before you put it out there. You can always tweak things as you go. ➜ Get yourself an RSS reader and start following blogs and websites like crazy. Follow those that can help you with marketing your content, building traffic and successfully making money online but also follow many many bloggers that write on the same subject that you do. Emulate (but don’t downright copy) those with sites that you admire but do something to differentiate yourself from the noise. For instance we all know how crowded the food blog market is. You can differentiate yourself by being a raw food blogger or a spicy food enthusiast etc. ➜ Write regularly and keep to a schedule. If you decide to put out 1 post per week, keep to that schedule come what may. It will take careful planning especially if you are working full time too but it will be worth it. ➜ When things are not working out, work on yourself more than you work on your blog. Yes again it all starts in your mind. It doesn’t matter how great your idea is, if your mind is in the wrong place you are unlikely to make a success of it. Get your head into gear first. ➜ Don’t limit yourself. Do you really just want to be comfortable or do you want to be a rip roaring success? If you read the book that I suggested above you will know that you get exactly what you ask for. If you ask for comfort, you may only ever earn an extra $500 every month but if it’s success that you want, then simply ask for it. ➜ Diversify your traffic and income sources but ultimately remain responsible for your own success. Don’t rely on the Gods of Google, Facebook or Youtube to make your blog successful. Diversify both where you get your income from and also where your traffic comes from, you don’t want to rely too heavily on one source. But ultimately you want to be responsible for generating your own traffic and revenue. Ever heard the saying that the money is in the list? Its true. ➜ Never complain about anything. And I mean ANYTHING, not your job, your kids, your hair or your car. Complaining puts you an a very negative state and creativity will evade you when you are filled with negativity. Creativity is what you need in order to be successful. Nope, there’s nothing wrong with the economy and there is plenty of money out there to be made. You just have to SEE it your mind first before you can have it in your hand. ➜ Share your success. I came across a quote from Sir Richard Branson that said something like ‘Spread the work, share the wealth‘. In the beginning when I first started blogging, finances made it necessary for me to do everything myself. From writing posts to clumsily coding new functionality for the website (I’m not a coder, I just learned stuff as I went along). But I didn’t see how ridiculous this was once I started having a bit of success and I continued trying to do everything myself with a punishing schedule. It makes more sense to keep majority of the profits yourself right? WRONG! In the beginning while you don’t have a great deal of money to spare it makes sense to reduce overhead but as time goes on and you start being more successful, share the work by giving another blogger the opportunity to get started in the writing game. Or hire a freelancer to help you with something complex that you know will take too much time to do yourself. Your time is valuable so use it wisely! ➜ Google EVERYTHING!! – The web is such an excellent resource. So if you are unsure about something, don’t give up, just google it. Trust me there’s always someone else who has had the same question as you do, and there are plenty of people with answers too. ➜ Be grateful for every little bit of success that you get. I was excited as hell when I first received my first $100 from my website all those years ago and even now, every month I am grateful to be able to do what I do. It’s not often that one finds their passion in life so if you find yours, be grateful. So I hope that this sufficiently answers your questions on how you can get started on blogging. I know I didn’t really go into the technical aspects of starting a blog and setting up a website and whatnot but that’s what google is for right? I just wanted to pay it forward and I hope that at least one person who comes across this post goes on to make a success of their career, whatever that may be. Congrats to you! It took a while for me to figure out where I wanted to take my blog but now that I have that roadmap in place, I’m good with everything. I no longer feel as overwhelmed because I’m not trying to keep up with this one and that one, I’m in my own lane, working toward my own goals. Thanks for the informative article. Yes one of the worst things you can do is try to keep up with the Joneses in the blog world. Just do your own thing and take your blog in the direction that you are happiest with rather than what everyone else is doing. All the best to you! Same to you. SN: love your accent by the way! Thanks for the information. I am still ‘starting out’ my blog. Trying to make it my own. But never really felt it was going anywhere. Now I will put more of my self into it. 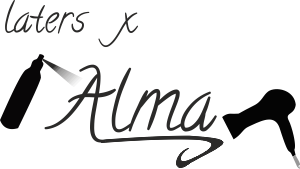 Alma – this post is priceless. I always recommend BHI not just because of the great content but because of YOU. Earning money with you came at a time when finances were dire for me as a full time student and I will FOREVER and eternally be grateful. One thing that has made me an eternally loyal reader, fan and promoter of BHI is your willingness to share – posts like these are a prime example why. *bookmarked* lol! Aww I’m so glad you enjoyed it Ebony!! You are making me blush now. lol You know that I’m totally a supporter of L4L too 🙂 and if there’s anything you need, you know where I am. Thanks hun! All the best with your blog, you can definitely do it! Alma you are an amazing woman and a great inspiration to me! I watched the Secret too and it was life changing but this post was just as life changing!! I can’t fully explain it but I just know that I read your story about how you became successful at the right time in my life. Thank you so much for sharing. I love your website, your blogs, you and your hair 🙂 God bless you! This post is so inspiring and timely for me. I bookmarked it weeks ago and was just rereading it. Felt like I needed to tell you how much I appreciate what you have shared here. Thank you so much for challenging me, encouraging me inspiring me and so much more with this post. Thank you so much 🙂 glad to have helped and you will do great if you put your mind to it. 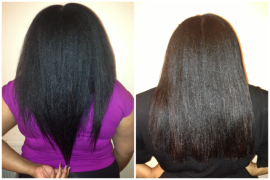 Thank you for your blog and the information on making money and how to grow black hair. I’m glad that I prayed and asked God to show me how to stop my hair from coming out at the roots and he lead me to your blog. Thank you! At the end of January (2015). I will be leaving my job to grow my health care information business. My husband’s book on autism will be published and we will be working from home. I have read and re-read both books the Secret and the Secret of a Millionaire Mind. I also have the video of the secret but I truly enjoy the book. Another great book is The Science of Getting Rich. They all come to the same conclusion-Our minds!!! Thank you so much for this post. Lately I’ve been considering becoming a natural hair blogger, but I had no idea where to start. I am now inspired to put my plan into action!! I have completed my natural hair transition journey, and I would love to share my experience, while helping others to embrace their natural hair.